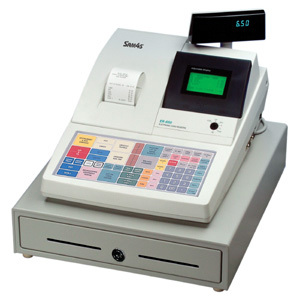 The SAM4s SPS-345 cash register is a commercial grade, affordable, full featured electronic cash register. It features a 21-PLU raised keyboard, and two high-speed thermal printers. With 2 standard serial ports, LAN IRC Port, and a large 8-line operator display this machine has a wide variety of connection to fit your needs. 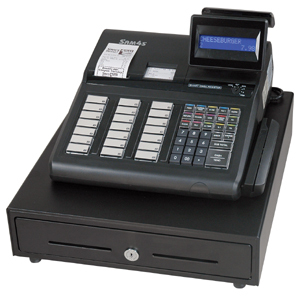 This extremely flexible line of cash registers is designed to fit a wide range of business types from food service to retail with scanning. Easy to program and use, it’s an incredible value for merchants of all sizes.